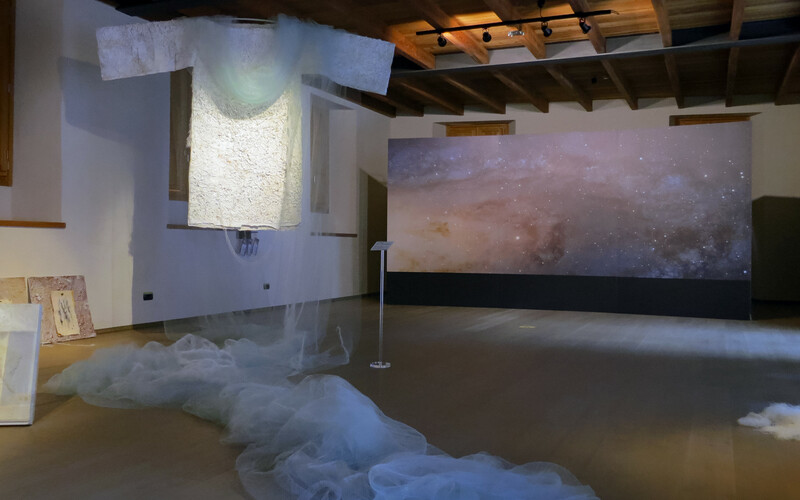 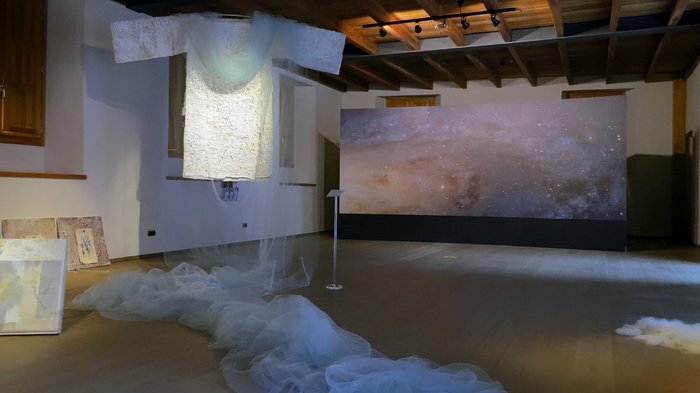 Artist Dania Zanotto has taken the variety and abundance of star formation regions and cosmic nebulae and has interpreted them in precious, finely-decorated fabrics of her installation. This installation is part of the Hubble travelling exhibition Our Place in Space. 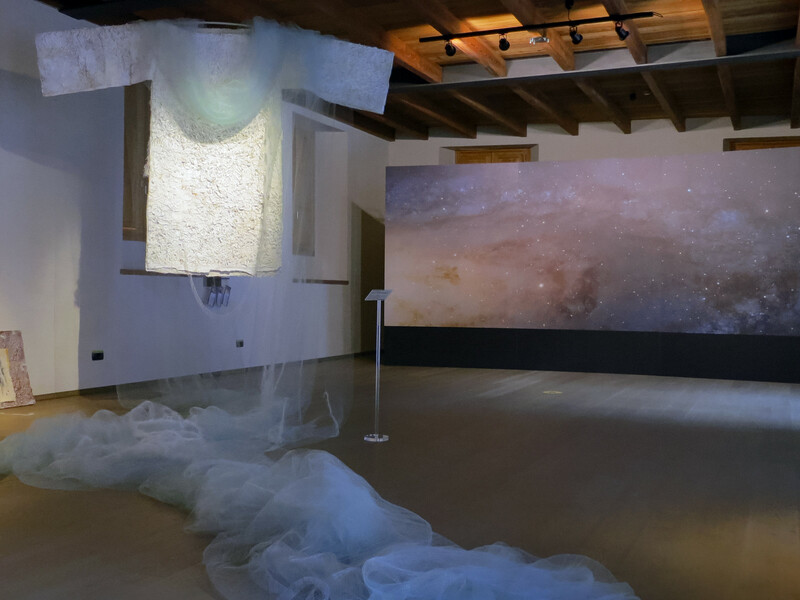 In the background a high resolution image of the Andromeda Galaxy can be seen, which is also part of the exhibition.